Are you ready to get blown away by Moto? That might happen soon, as the company is shooting a TV ad with Uma Karina, the girl you've seen in all the recent Motorola ads. Fun fact, we get asked a lot who she is, and most fans call her "the Hellomoto girl"! 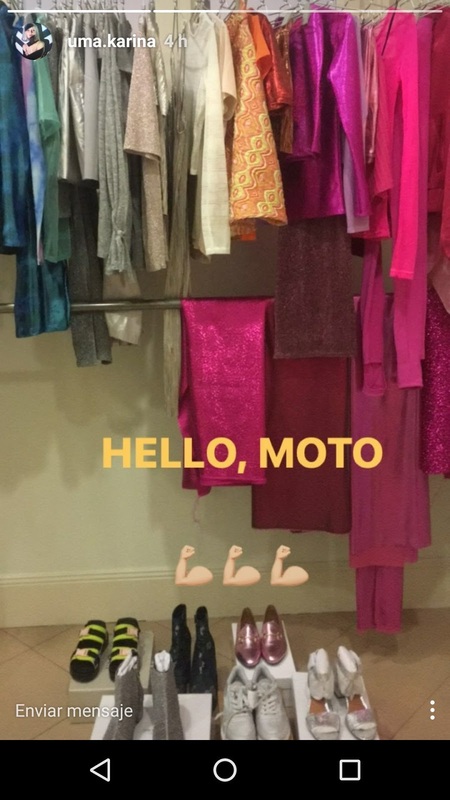 She just shared an Instagram story of her dressing room with the caption: "Hello, Moto". As you can see from the picture, she'll be wearing many colorful clothes, following Moto's latest visual identity of being fun and colorful. We all wonder what this could be and when we will get to see it!